A construction company working on a supertall condo tower and other New York City buildings has been indicted on charges it stole $1.7 million in workers' wages and cheated the state out of $7.8 million by underreporting its payroll. Erica Byfield reports. 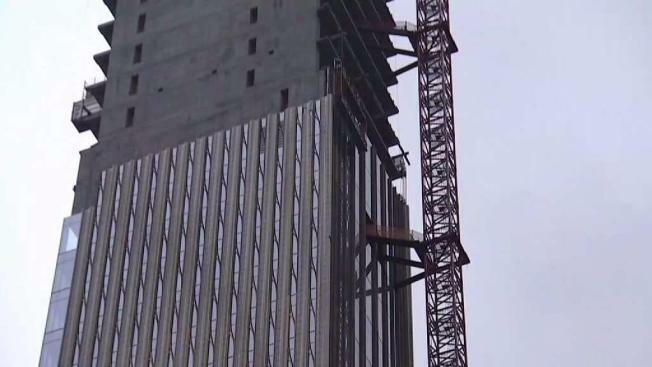 A construction company working on a super-tall condo tower and other New York City buildings has been indicted on charges it stole $1.7 million in workers' wages and cheated the state out of $7.8 million by under reporting its payroll. Manhattan District Attorney Cyrus Vance Jr. said Wednesday that Parkside Construction underpaid more than 500 construction workers at job sites around the city. The sites include a slender, 80-story condo tower at 111 W. 57th Street overlooking Central Park. The company is also charged with defrauding the state by under reporting its payroll, thereby lowering its workers' compensation premiums. Parkside's payroll services provider, Michigan-based Affinity Human Resources, is also charged. Parkside CEO Francesco Pugliese said the company denies "any wage or other kind of theft." Affinity did not return a call seeking comment.